The studio consists of a bright living room with double sofa bed, dining table and kitchenette. Double bedroom and bathroom. 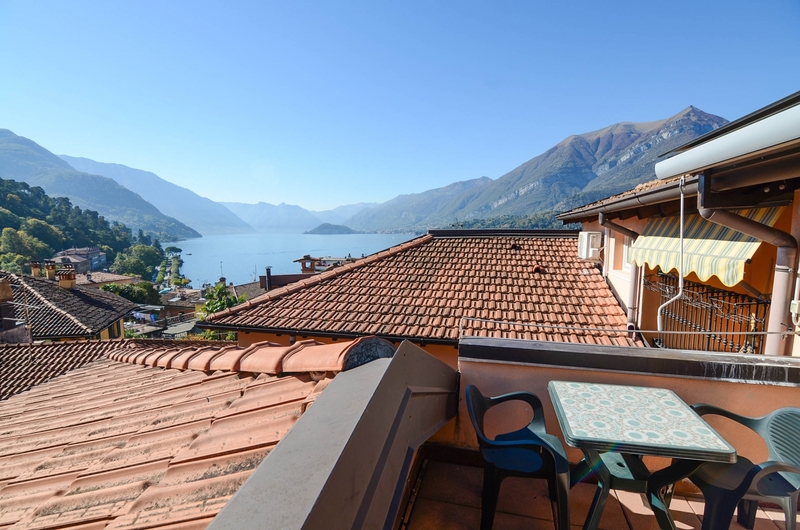 A balcony and a large terrace offer fantastic views of the village of Bellagio and the lake. Included in the air-conditioned apartment and wi-fi. In the historic center of Bellagio, with all amenities nearby and the lake just 3 minutes walk away. The exposed wood floors and ceilings and the panoramic views of Lake Como make the apartment ideal for a romantic getaway in Bellagio.